Penrith, Cumbria, UK. Saturday 12-November-2016. Well that was much more fun than I was expecting. Not that I knew what I was expecting exactly. We were in the Lake District for a week's walking, visiting our friends Kate and Nigel who have just moved into a little two-up, two-down in the centre of Penrith. Since their house is work-in-progress we stayed at the nearby Whitbarrow holiday village by trading in one of our timeshare weeks in the bank. 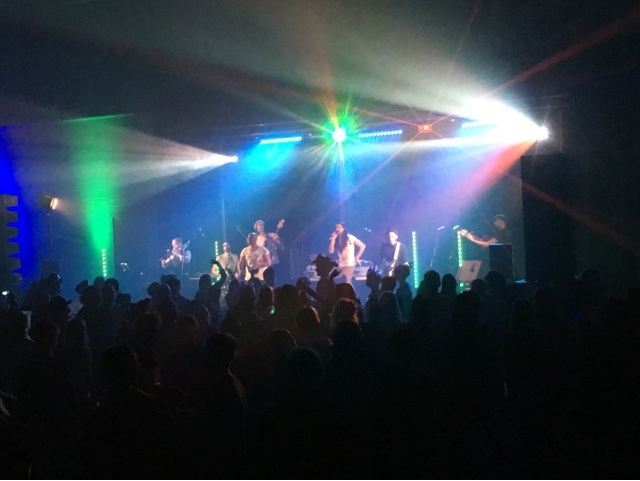 When we were told about this event we extended our stay by one day in order to take it in. 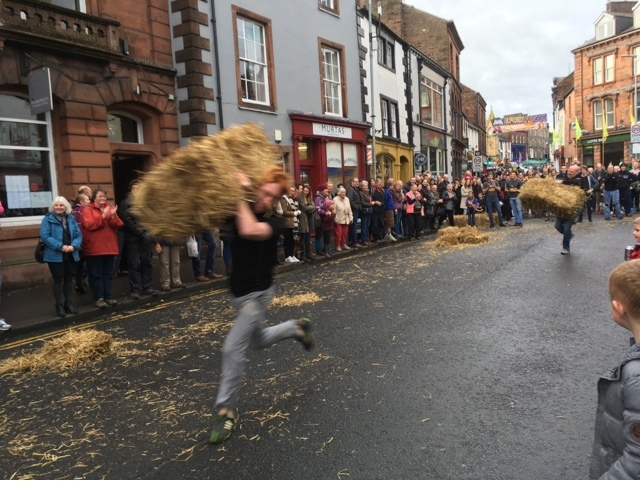 First up was a three way competition between the young farmers, police and local bar staff including a tray-of-beer race, haybale relay race and an egg throwing competition. I've no idea who won but it was a bit of a larf. 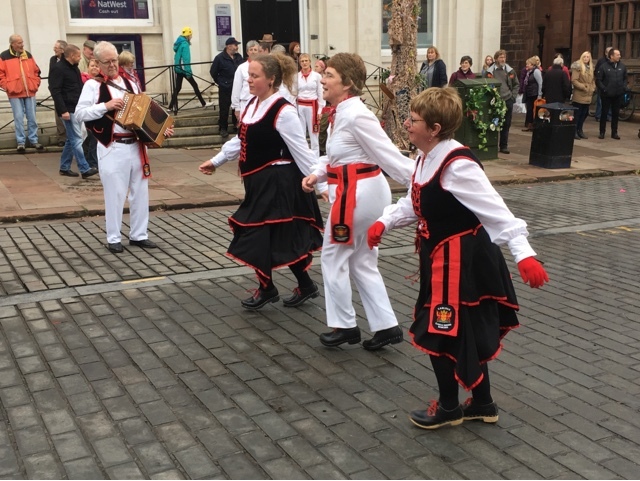 Wandering around town there was lots of entertainment: various stalls, street theater, clog dancing, sword dancing, buskers and several live bands including The Windy Bottom Boys, Opera Anywhere and Mylittltebrother. 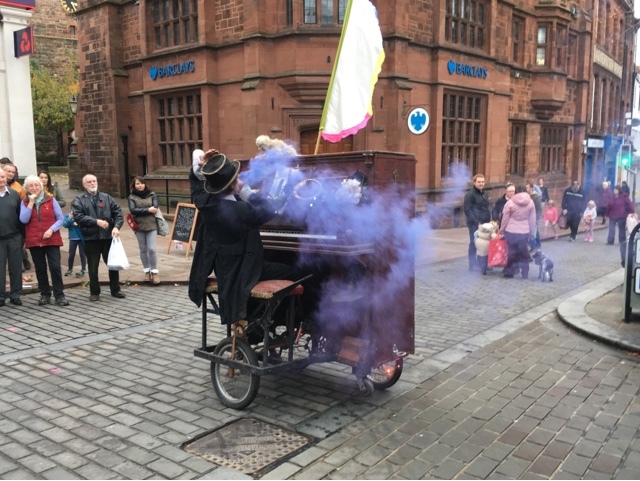 Rimski was a bizarre piano on wheels that lurched around scattering spectators while the Chaplin-esque pianist played and crooned a whimsical ditty. Special mention for sheer silliness must also go to the Feminist Mouse Circus including a mouse called Germaine Gruyere. Part of the deal was that attendees are invited to wear masks. 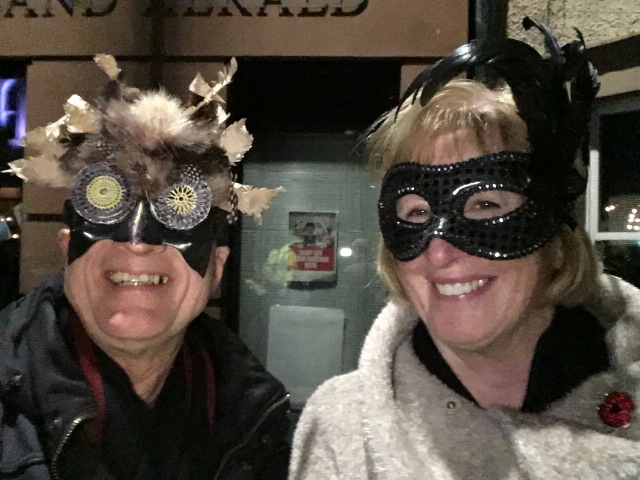 I had a wild creature of the woods mask - actually it was made by nine-year-old Charlie, the son of a friend of a friend, out of a toy shop batman mask with bits of feather and fur stuck on. Mary wore a mask that belonged to her friend Christine, in her memory. 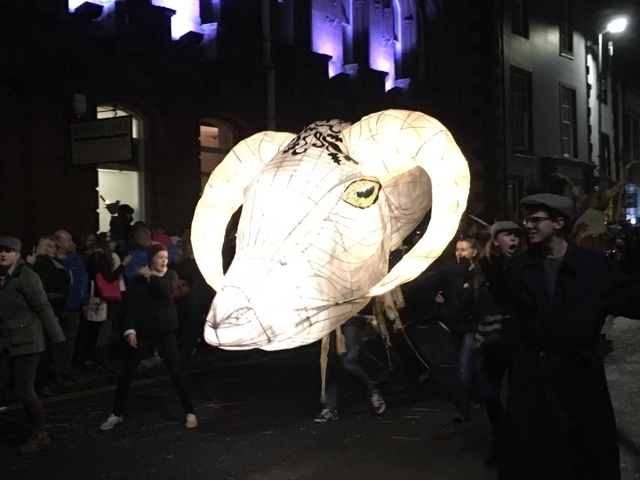 The whole thing was very impressive with large, illuminated creatures. 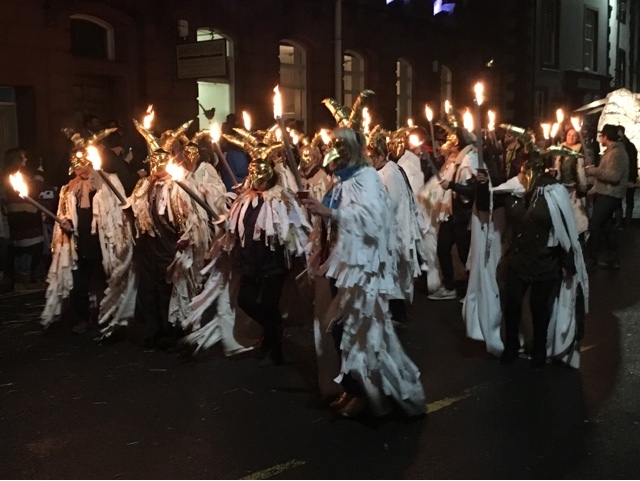 There were marching bands, revellers in costume and a candlelit parade. It was all suitably spectacular. After supper at a local florist and part-time restaurant Green Wheat and Fika The last event of the night was a concert in the Arts Centre from Gypsy Hill. After that we staggered off home having had a thoroughly entertaining day. Well done to all concerned.